The first 3D printing process was invented in 1984 by Chuck Hull, who that year filed a patent for a technology called “stereolithography”. At the time, French researchers had already conducted similar research before shelving the idea for “lack of prospects”. 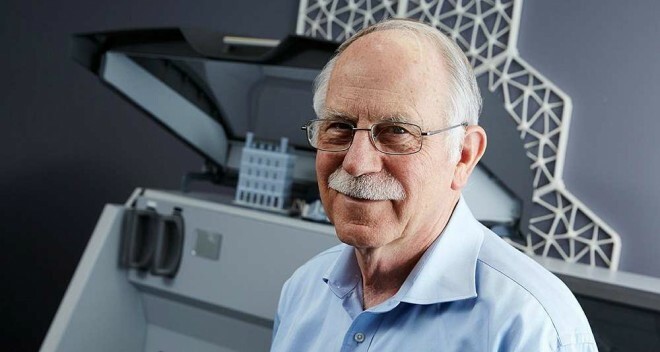 Chuck Hull defines stereolithography as a method designed to manufacture solid objects by successively depositing thin layers of a material based on a digital model. Chuck Hull’s 3D printing process was more specifically based on photo-polymerization of a liquid resin sensitive to ultraviolet light. Two years later he created 3D Systems, which is now one of the giants in the sector. One or more 3D printing techniques? 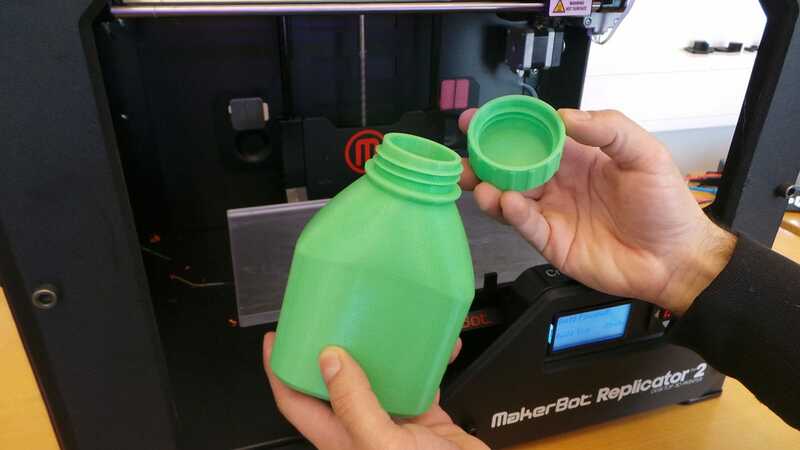 The world of additive manufacturing is not confined to small office 3D printers. The industry’s professionals increasingly use equipment capable of producing bulky parts. One of the most imposing 3D printers to date is Big Delta, developed by Italian manufacturer WASP. It is 12 metres tall for a circumference 6 metre in diameter and deposits a material similar to cement. The machine, which took 3 years to develop, is currently used for the construction of a village in Italy called Shambalha. 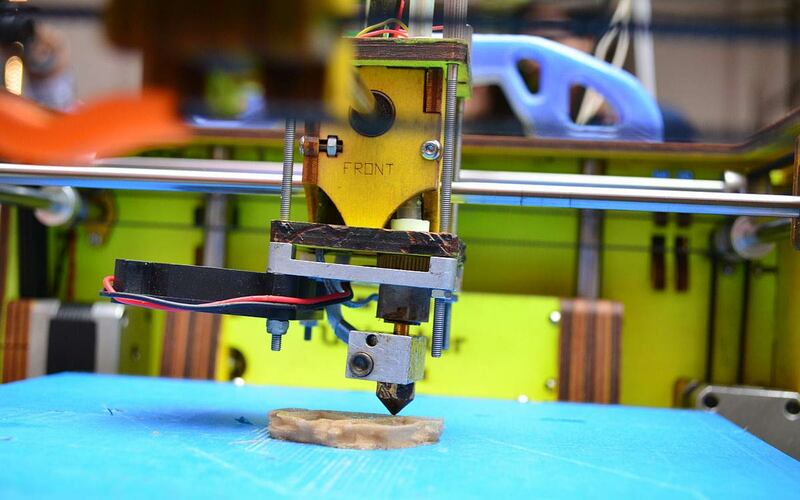 The 3D printing market is booming, demand being driven by many sectors like aeronautics, jewellery or medicine. The Wohlers report singles out some interesting figures concerning developments in the additive manufacturing industry. This market is said to have topped the five billion dollar mark in 2015. This figure includes sales of 3D printer but also sales of consumables (like filaments, resin or powder) and 3D printing related services. That same year nearly 278,000 printers are reported to have been sold worldwide. Bioprinting could create layers of skin for people with third-degree burns using their own living cells, thereby reducing the risk of graft rejection. This innovation also interests healthcare and cosmetics professionals, who regard it as a way of testing their products without resorting to guinea-pigs. 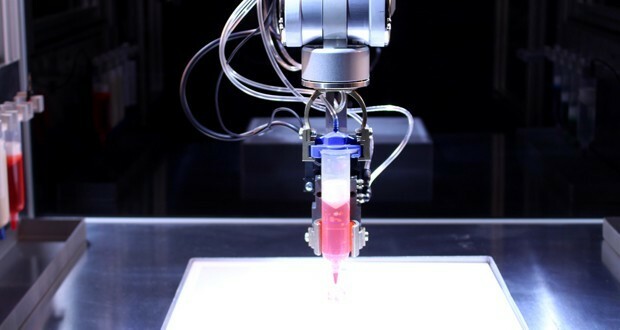 In France, company Poietis is specialized in bioprinting. It recently invested €900,000 to develop its activities. La bio-impression permettrait de créer des couches de peau pour des personnes gravement brulées à partir de leurs propres cellules vivantes, diminuant ainsi les risques de rejet de greffe. Cette innovation intéresse également les professionnels de la médecine et des cosmétiques qui voit là une occasion de tester leurs produits sans avoir recours à des cobayes. En France, l’entreprise Poietis s’est spécialisée dans la bio-impression. Elle a récemment reçu un investissement de 900 000€ pour développer ses activités.